A native Floridian, John graduated from Auburn University with a BS in Building Construction. After college he began his career in real estate development and management. 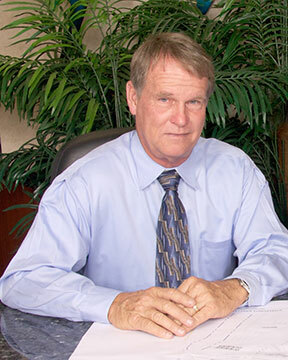 As a state licensed General Contractor, John has been active in the construction industry since 1975. He has worked as owner of Tile & Terrazzo, Inc. installing the brick and ceramic tile throughout a 400,000 square foot waterfront property, as Director of Construction for Roney, remodeling the Roney Palace, a 1200 room hotel/condominium complex and as the Sr. Project Manager for The Related Group of Florida, Inc., where he was in charge of the planning, permitting, and managing of contracts for over 1500 luxury units. Since 2009, John has been Vice President of Special Projects for the RCI Group overseeing the company’s development and operation of marine related, waterfront facilities throughout South Florida. In 2012, he traveled to China and negotiated a consulting contract for RCI to assist in the design, operation and management of a large scale, marine-oriented development in Ningbo, China. John is a Flag Officer of the Coral Reef Yacht Club, located in Miami and also a member of the City of Miami’s Waterfront Advisory Board. He is a Coast Guard licensed captain holding the 100-ton Yacht Captain’s License and is an active yachtsman.